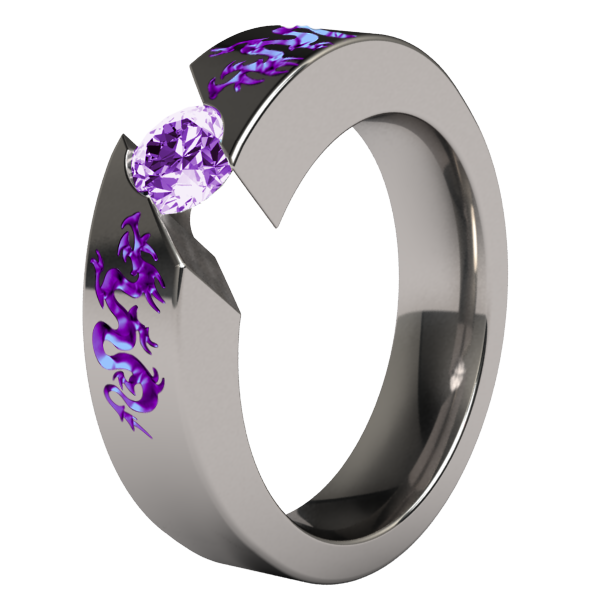 Pamela wanted to design something completely unique for her fiance’s wedding band. 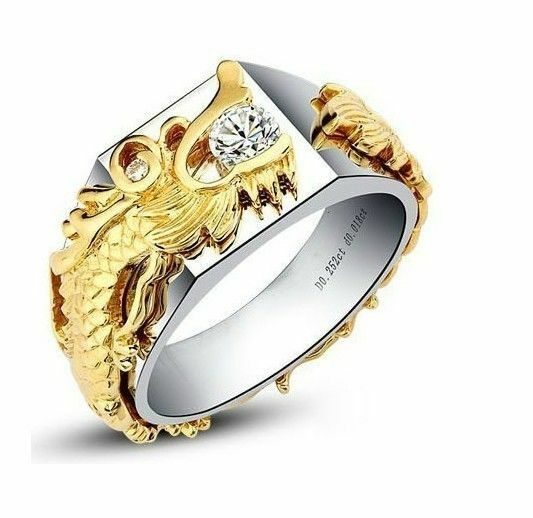 She knew he loves dragons and wanted something with premium materials. After further brainstorming with her she decided she wanted a purple dragon inlayed flush all the way around a platinum band, with a black diamond in the mouth and chinese engraved on the inside of the band. She sent us these inspiration images. 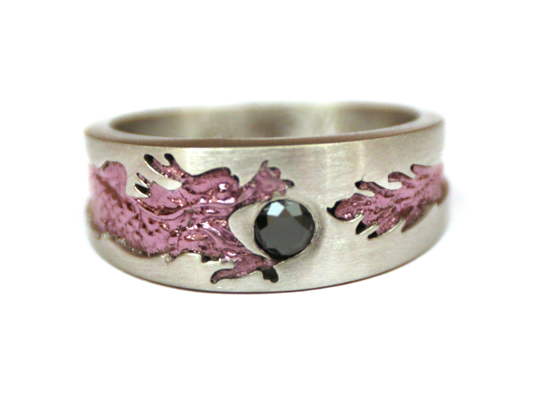 It took many iterations to get this ring just right. We ended up using purple gold, a very rare material because of it’s extremely high melting point and complexity to work with. We 3d designed the band itself and casted that first in the platinum. 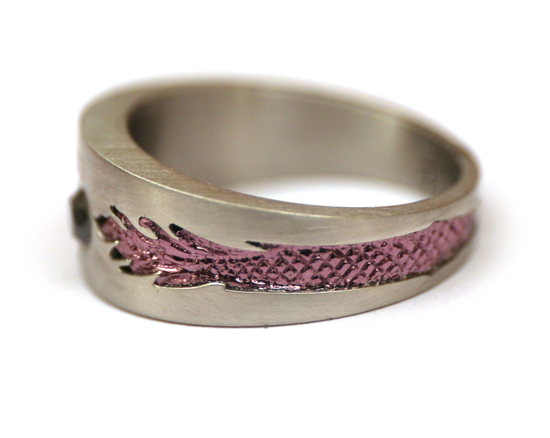 Because purple gold needs to be casted inside of something else, we hand carved a wax of the dragon into the platinum and then casted it. After it was complete we set the black diamond.